Portrait, Richard Allen (circa 1905). Courtesy of the University of Texas at San Antonio Special Collections. Image available on the Internet and included in accordance with Title 17 U.S.C. Section 107. ALLEN, RICHARD (ca. 1830–1909). Richard Allen, political and civic leader, was born a slave in Richmond, Virginia, on June 10, 1830. (Some sources give the year as 1831.) He was brought to Texas in 1837 and ultimately to Harris County, where he was owned by J. J. Cain until emancipation in 1865. While a slave he earned a reputation as a skilled carpenter; he is credited with designing and building the mansion of Houston mayor Joseph R. Morris. After emancipation Allen became a contractor and bridge builder and at times a commission agent and saloon owner. Although he was without a formal education, he became literate by 1870. Allen entered politics as a federal voter registrar in 1867. In 1868 he served as an agent of the Freedmen's Bureau and as the supervisor of voter registration for the Fourteenth District of Texas. He also participated in the organization of the Republican party in Harris County. 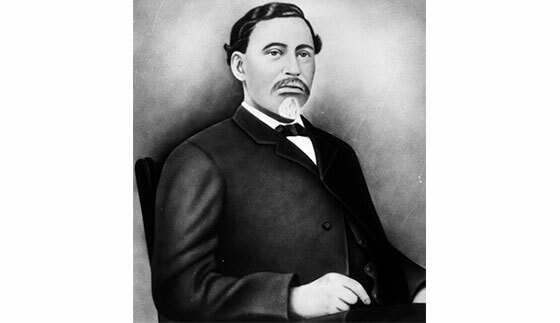 After assuming an active role in the Radical Republican meeting that nominated Edmund J. Davis for governor in 1869, Allen was elected to the Twelfth Legislature that November and became one of the first and most active black legislators. As a representative of the Fourteenth District, which included Harris and Montgomery counties, he advocated general measures for education, law enforcement, and civil rights. In 1870 he unsuccessfully sought the Republican nomination for United States Congress. In 1871 the Union League, which supported the Republican party, made him one of its vice presidents. Allen apparently was reelected to the legislature in 1873, but the House seated his Democratic opponent, who contested the election. Allen remained a leader of the Republican party in Houston, at state conventions, and as a delegate to national conventions through 1896. He was elected street commissioner in Houston as an independent candidate in January 1878 and served for one term. Later that year the conservative wing of the Republican party nominated him for lieutenant governor, thereby making him the first black to seek statewide office in Texas. Allen served as quartermaster for the black regiment of Texas militia in 1881–82, and from 1882 to 1885 he acted as storekeeper and then inspector and deputy collector of United States customs at Houston. Grave of Richard Allen. Courtesy of Find-a-Grave. Image available on the Internet and included in accordance with Title 17 U.S.C. Section 107. As a political leader Allen occasionally took unpopular positions. In 1879 he broke with most other black leaders in Texas and became a spokesman for the short-lived Exodus Movement, which told blacks that they would never enjoy educational or economic opportunity in Texas and therefore should move to Kansas. As customs collector Allen became involved in the labor dispute that occurred at the port of Houston in 1890. He defied white labor leaders but urged black workers to remain peaceful during the protests. In 1872 and 1879 he served as a delegate to the National Colored Men's Convention. He acted as a vice president in 1873 and as chairman in 1879 of black state conventions that voiced African American concerns about civil rights, education, and economic issues. When the Prince Hall Masons organized in Texas, Allen presided over the meeting at Brenham in 1875. Two years later he became the state's grand master. In Houston he led emancipation celebrations, promoted a park, and served as the superintendent of the Sunday school at Antioch Baptist Church. He also sat on the board of directors of Gregory Institute, Houston's first black secondary school. He married a woman named Nancy soon after emancipation. They had one son and four daughters. Allen died on May 16, 1909, in Houston and was buried in the city cemetery. Handbook of Texas Online, Alwyn Barr and Cary D. Wintz, "ALLEN, RICHARD," accessed April 18, 2019, http://www.tshaonline.org/handbook/online/articles/fal24. Uploaded on June 9, 2010. Modified on June 27, 2017. Published by the Texas State Historical Association.